The mission and needs of your agency are inherent to you, a pre-defined curriculum may not be the best approach for your situation. GTI fully understands that agency requirements can vary greatly and that not all standard course lengths and capabilities that we offer align with your training needs; therefore GTI can custom develop curriculum to best fit the length and the necessary TTP's that your agency or team truly needs. This saves your agency and personnel time and money by dialing your training to best suit your required capabilities. GTI commonly works with agencies to customize an existing training program for a specific unit or department to allow them to get the most of their training dollar. Agencies may pick and choose between pre-existing modules of instruction (typically pulled from our Type I Advanced SWAT Packet) to build their own program, or, if there is something that GTI does not currently have listed, yet has the expertise and equipment to provide top-notch training, we will develop a custom curriculum from the ground up for the agency on a case-by-case basis. To discuss your training needs, contact GTI by calling 803-259-1935 or emailing info@gtitraining.org. Once our staff understands your agency needs we can generate a summary outline of the curriculum and a written proposal for your team to attend training. 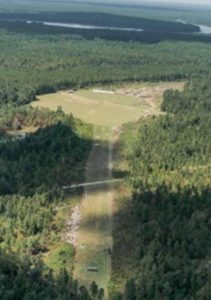 GTI can deliver the course using a Mobile Training Team (MTT), providing that the requesting agency has access to all of the required structures to conduct the course, or the training can be conducted at GTI's Joint Operations Center (JOC) in Barnwell, South Carolina. 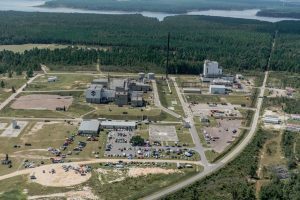 The JOC was formerly a nuclear fuels reprocessing plant that GTI has converted into a premier homeland security tactical training center for advanced law enforcement and military training scenarios. GTI's JOC is available to solve your facilitation and training needs. 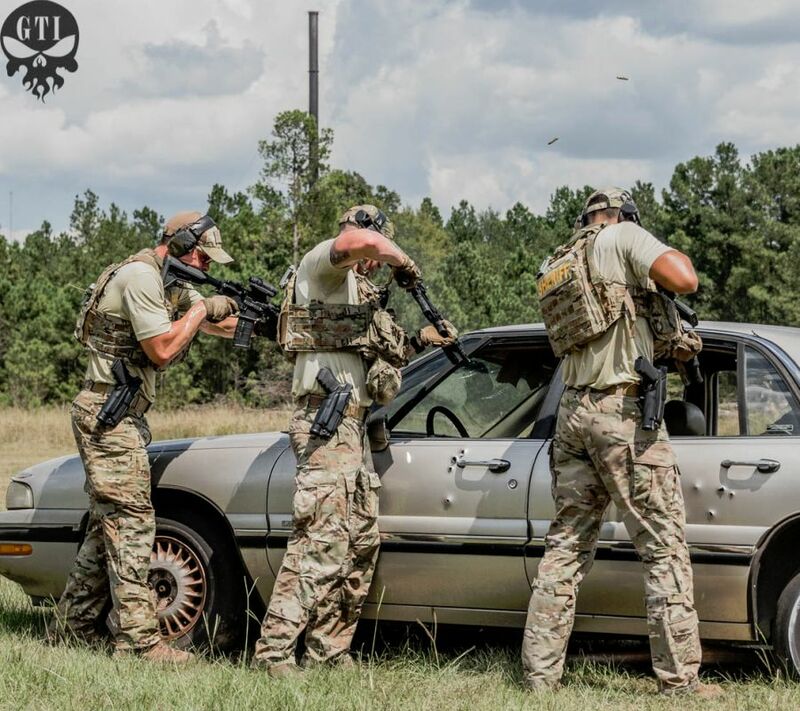 GTI Joint Operations Center (JOC) located in Barnwell, SC is a premiere tactical training site for law enforcement officers, all first responder elements and military operations planning. The preparedness of State and Local SWAT teams is one of the major initiatives of the United States Department of Homeland Security. Under the Department of Homeland Security typing system, there are three typing classifications ranging from a Type III team (the basis of this course), to a Type I team, the most equipped and capable. The typing system has been created to flow with the overall Incident Command System (ICS) structure. In response to the Department of Homeland Security’s creation of the SWAT Team Typing system, the Government Training Institute (GTI), has created three advanced courses for SWAT teams. After multiple agency requests we now offer the Type III Advanced SWAT course with self-study and live fire range practice in advance of the class which allows the program to be shortened to 10 delivery days. This allows the agency to save on the total down time that their officers are off duty for training while still getting the full hours of the program. Contact GTI by calling 803-259-1935 or emailing info@gtitraining.org, for further details. For part-time SWAT teams without rappelling responsibilities. The Government Training Institute, Inc. announces the SWAT Type III course curriculum that has been reviewed and approved by D.H.S.’s Office of Grants & Training. This allows states the opportunity to apply their DHS training grant funding toward tuition, overtime, meals, lodging, and associated backfill costs for their first responders to attend. Type III SWAT was created to standardize SWAT training throughout the United States and to define for Incident Commanders asset capabilities and current resources available during a crisis. This program is the first model program for nation-wide SWAT team classifications and gives team commanders training programs and asset requirements to be considered a Type III Category SWAT Team. The Type III SWAT Operator’s Course is the most comprehensive SWAT program ever to be offered to state and local agencies. The program covers 41 separate modules in 15 days. State and local law enforcement agencies can utilize Department of Homeland Security Grant Program (HSGP) funds to pay for the course. It is important to note that although this training and the use of these Funds is approved by DHS, the agency's State Administrative Agencies (SAA) Training Point of Contact (POC) must approve the use of the funds to attend the course. Contact GTI, by calling 803-259-1935 or emailing info@gtitraining.org, and we can provide tuition information and directions on how to proceed with gaining approval to utilize your states DHS funds to attend training. Another option to assist with funding is GTI's Asset Trading Program (ATP). Click the link in the menu above to find out more about this program. The preparedness of State and Local SWAT teams is one of the major initiatives of the United States Department of Homeland Security. Under the Department of Homeland Security typing system, there are three typing classifications with a Type III team, the least capable to a Type II team (the basis of this course), to a Type I team, the most equipped and capable. The typing system has been created to flow with the overall Incident Command System (ICS) structure. 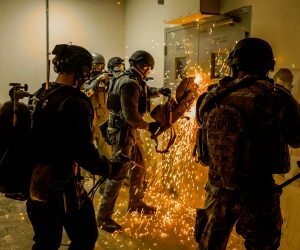 In response to the Department of Homeland Security’s creation of the SWAT Team Typing system, the Government Training Institute (GTI), has created three advanced courses for SWAT teams. After multiple agency requests we now offer the Type II Advanced SWAT course with self-study and live fire range practice in advance of the class which allows the program to be shortened to 13 delivery days. This allows the agency to save on the total down time that their officers are off duty for training while still getting the full hours of the program. For full or part-time SWAT teams with advanced capabilities including rappelling. 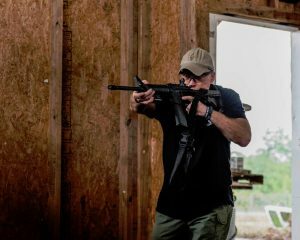 The Government Training Institute, Inc. announces the SWAT Type II course curriculum that has been reviewed and approved by D.H.S.’s Office of Grants & Training. This allows states the opportunity to apply their DHS training grant funding toward tuition, overtime, meals, lodging, and associated backfill costs for their first responders to attend. 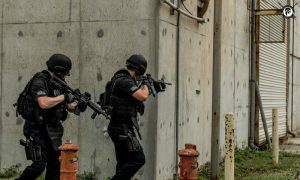 Type II SWAT was created to standardize SWAT training throughout the United States and to define for Incident Commanders asset capabilities and current resources available during a crisis. This program is the first model program for nation-wide SWAT team classifications and gives team commanders training programs and asset requirements to be considered a Type II Category SWAT Team. The Type II SWAT Operator’s Course is the most comprehensive SWAT program ever to be offered to state and local agencies. The program covers 44 separate modules in 18 days. The preparedness of State and Local SWAT teams is one of the major initiatives of the United States Department of Homeland Security. Under the Department of Homeland Security typing system, there are three typing classifications ranging from a Type III team, the least capable to a Type I team (the basis of this course), the most equipped and capable. The typing system has been created to flow with the overall Incident Command System (ICS) structure. 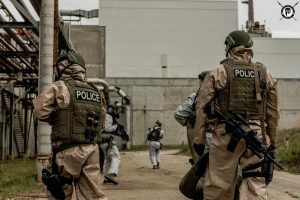 In response to the Department of Homeland Security’s creation of the SWAT Team Typing system, the Government Training Institute (GTI), has created three advanced courses for SWAT teams. After multiple agency requests we now offer the Type I Advanced SWAT course with self-study and live fire range practice in advance of the class which allows the program to be shortened to 15 delivery days. This allows the agency to save on the total down time that their officers are off duty for training while still getting the full hours of the program. For full-time SWAT teams with robot, tech surveillance, rappelling and fast roping capabilities. The Government Training Institute, Inc. announces the SWAT Type I course curriculum that has been reviewed and approved by D.H.S.’s Office of Grants & Training. This allows states the opportunity to apply their DHS training grant funding toward tuition, overtime, meals, lodging, and associated backfill costs for their first responders to attend. Type I SWAT was created to standardize SWAT training throughout the United States and to define for Incident Commanders asset capabilities and current resources available during a crisis. This program is the first model program for nation-wide SWAT team classifications and gives team commanders training programs and asset requirements to be considered a Type I Category SWAT Team. The Type I SWAT Operator’s Course is the most comprehensive SWAT program ever to be offered to state and local agencies. The program covers 50 separate modules in 20 days. The Government Training Institute's Immediate Action Team (IAT) Active Shooter training course curriculum that has been reviewed and approved by D.H.S. 's Office of Grants & Training. This allows states the opportunity to apply their DHS training grant funding toward tuition, overtime, meals, lodging, and associated backfill costs for their first responders to attend. Improvised Explosive Devices (IED) awareness. Mechanical and ballistic tactical breaching. Proven tactical shooting skills during range sessions and force on force scenarios. Proper techniques and skills needed to respond to an active shooter and terrorist situation. Instruction covering the current practices and theories with respect to the Priority of Life and to develop an understanding of the difference between the traditional response and the acceptable response to an active shooter situation along with initial response to terrorist situations. Instruction covering Terrorism, The Siege of Beslan, the Columbine High School Shootings as well as other active shooter incidents. The Immediate Action Teams (IAT) Active Shooter training course is open to Law Enforcement and Military personnel ONLY. Each officer will show or verify employment prior to course registrations. The Preparedness of State and Local Law Enforcement officers is one of the major initiatives of the United States Department of Homeland Security. 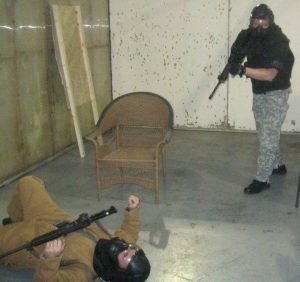 This Basic SWAT course provides law enforcement officers with proven tactics and techniques for first responders in a SWAT operation to include terrorist incidences. The Government Training Institute's Basic SWAT course curriculum that has been reviewed and approved by D.H.S.’s Office of Grants & Training. This allows states the opportunity to apply their DHS training grant funding toward student tuition, overtimes, meals lodging, and associated backfill cost of their SWAT officers to attend. The Government Training Institute's course covers 25 separate modules in a 7 day period. 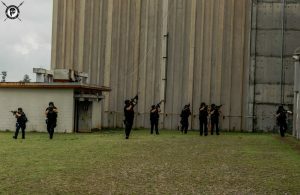 Students learn proven tactics, techniques and procedures for SWAT operations. Students learn SWAT operations specific to terrorist threats and current mission essential tasks utilized by SWAT teams across the nation. Students have daily performance evaluations as well as written exams throughout the course. The course gives students instruction and practical application in the following tactical training: Officers will learn proven dynamic entry and slow and deliberate tactics during practical exercises and force on force scenarios. Officers become familiarized with SWAT operations to include: High Risk Warrant Services, Vehicle Assaults, Citizen Team Member Recovery, and Ballistic / Mechanical Breaching. 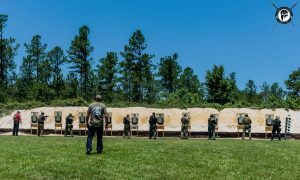 Students receive detailed practical applications in tactical shooting techniques associated with close quarter’s battle engagements. Students receive a detailed block of instruction on Terrorism, as well as tactical considerations when dealing with a terrorist threat such as improvised explosive devices, and weapons of mass destruction. Students receive daily physical training to increase their physical performance in SWAT related mission environments. The awareness of improvised explosive devices by law enforcement is of major importance to our homeland security within the United States. At the conclusion of this course, students will have the basic skills, abilities, and knowledge to effectively identify and begin first responder procedures for an IED incident. Students will gain an understanding of the basic workings of IED systems and the cautions for working around them as well as the possibility of their utilization against law enforcement and first responders. Students will also become familiar with Explosive Ordinance Disposal Operations and their role in assisting during an incident. This course consists of 2 hours of lecture on Improvised Explosive Devices and 3.5 hours of practical exercises that expose students to inert Improvised Explosive Devices. The Improvised Explosive Devices (IED) Awareness course is open to all first responders. Each student will show or verify employment prior to course registrations. Contact GTI, by calling 803-259-1935 or emailing info@gtitraining.org, and we can provide written proposal to attend training. An option to assist with funding to attend this course is GTI's Asset Trading Program (ATP). Click the link in the menu above to find out more about this program. 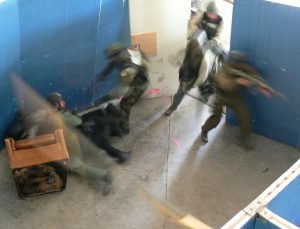 The Advanced Hostage Rescue Tactics (HRT) course will expose the operator to advanced hostage rescue theories, tactics and advanced close quarter battle techniques. Emphasis is placed on operating as an emergency assault team and as a more deliberate assault team. 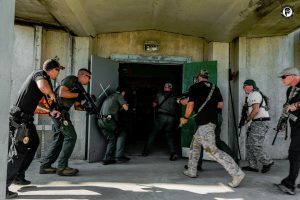 The Advanced Hostage Rescue Tactics (HRT) will teach the operators what an emergency assault team is comprised of, the inherent problems that exist with such a team and the stimulus that provokes a tactical response. Operators will also learn what a deliberate assault team is comprised of, what type of intelligence is needed and the amount of personnel required. Operators will also be exposed to advanced close quarter battle techniques along with clearing techniques involving; hallways, intersections and room entries. During the five day period, operators will receive maximum amounts of practical application for conducting Hostage Rescue both as an emergency assault team and a deliberate assault team. During this course students, will be exposed to a building block training method, leading into force on force scenarios. The Advanced Hostage Rescue Tactics (HRT) course is open to Law Enforcement and Military personnel ONLY. Each officer will show or verify employment prior to course registrations. The Government Training Institute's Anti-Terrorism / Force Protection (ATFP) Course is an intensive five day course. Instructors for the ATFP course are retired soldiers with real world operational experience in conducting Force Protection, Counter Terrorism and Anti-Terrorism Operations. The entire ATFP course incorporates the latest AARs and lessons learned from OIF and OEF, giving soldiers the most recent, intensive, and realistic training experience possible. Soldiers will work both individually and with their peers, to conduct numerous table top and practical exercises throughout the week. Training Block 1: Terrorism 101. At the end of this block of training, the student will understand the fundamentals of terrorism. Training Block 2: Force Protection. At the end of this block of instruction, the student will have an understanding of the basics of force protection. Training Block 3: Individual Protective Measures (IPM). At the end of this block of instruction, the student will have an understanding of basic individual protective measures and how to best implement them. Training Block 4: Vulnerability Assessments. At the end of this block of instruction, the student will have an expanded and detailed understanding of vulnerability assessments. Training Block 5: Planning considerations for mounted movements. At the end of this block of instruction, the student will be able to plan a mounted movement with mission accomplishment and maximized security as primary considerations. Training Block 6: Selection of Rally Points and Evacuation Routes. At the end of this block of instruction, the student will be able to select rally points and evacuation routes, prepare a set of maps reflecting those items, and secure the maps and put points and routes into effect when necessary. Training Block 7: Convoy Operations. At the end of this block of instruction, the student will be able to act as a member of a convoy with an understanding of the commander's intent and actions. Training Block 8: Urban Movement. At the end of this block of instruction, the student will have the necessary knowledge of tactics and techniques to successfully conduct operations in a non-permissive environment. GTI will provide all weapon conversion systems, man marking training munitions and other training equipment. 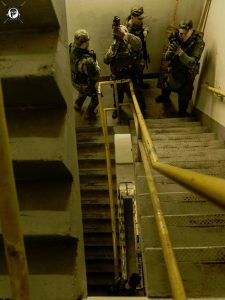 The Close Quarters Battle (CQB): Tactical Entries in a Hostile Environment course is designed around proven principles and tactics for close quarters battle that may be incorporated by Tactical Operators, Narcotic Officers and First Responders. Emphasis is placed on initiative based "free flow" techniques that enhance success in operator's decisiveness and maneuverability. 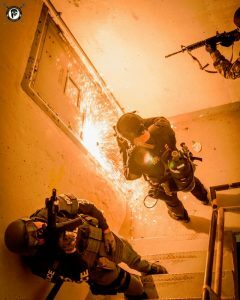 This course develops "problem solvers" using techniques that are proven in hostile situations and dispel common misconceptions associated with close quarters battle. Within the three days of training students will receive maximum amounts of practical applications for conducting close quarters battle. Emphasis will be placed on single/multiple rooms, hallways, stairways and complex structure designs. During this course students will conduct daily force on force scenarios and have a graded live exercise at the conclusion of the training. The Government Training Institute is offering a three day Fast Rope and Rappel course designed to enhance and develop the capabilities of the student. The student will learn proper gear selection and inspection along with procedures, tactics and techniques on both fast rope and rappelling. The student will be tested during every phase with an emphasis on safety. At the conclusion of this course the student will leave with a greater sense of confidence as well as an understanding of the inner workings on both fast rope and rappelling. Terrorists targeting America do not operate in a vacuum. They often conspire, utilize and recruit others to further their goals. Most often, and not so obscure, is the partnership between gangs and terrorists developed within communities and prisons across the country. This is not a new concept nor is it merely an historical one, but a current and growing issue that is critical to the protection of the United States. The partnership between gangs and terrorists create new concerns for counterterrorism officials and law enforcement in general. At the conclusion of the Gangs and Terrorism course, students will have an in-depth knowledge and understanding of gangs and terrorists and how they work together. They will be able to identify gangs and terrorists within their jurisdiction. Students will have the training to identify the indicators of terrorist activities involving gangs and terrorist groups within their community. This course consists of 3 days (24 hours) of lecture. This course has a prerequisite of the 3 Day Gangs and Terrorism course. Law Enforcement Officers must consider getting out of the 'first responder' mode and into the counter-terrorist mode. They should patrol potential targets as part of routine shift patrols, by utilizing systematically unsystematic patrol techniques, conduct aggressive traffic enforcement, make vehicle stops that are more inquisitive, fully investigate 'suspicious' person's calls and conduct surveillance of potential targets. At the conclusion of the Gangs and Terrorism: Investigation and Interdiction course, students will be able to: Utilize criminal interdiction methods as a counterterrorism strategy; Have the understanding of the importance of proactive law enforcement in the fight against terrorism as well as the importance of working with local security forces; Have the tools to identify potential targets of a terrorist attack; and identify local potential terrorist blending regions and hawalas. This course consists of 2 days (16 hours) of lecture. Lou Savelli retired from NYPD after 21 years as a Sergeant and detective squad supervisor of the Terrorist Interdiction Unit created on September 11th, 2001 to aggressively hunt down al Qaeda terrorists threatening New York City and those responsible for the attacks of 9-11. He and his investigators immediately developed dozens of terrorist intelligence sources and arrested hundreds of suspected terrorists or terrorist support cells. Early into his investigations, he identified strong partnerships between gangs in the US and several terrorist groups. Lou Savelli created NYPD's first citywide gang unit called CAGE (Citywide Anti-Gang Enforcement) which was awarded the Most Effective Gang Unit in the US by the National Gang Crime Research Center. He and his unit conducted several Conspiracy and RICO investigations on gangs like the Latin Kings, Bloods and Crips as well as working the streets of New York City's most dangerous neighborhoods and arresting thousands of gang members armed with firearms. As a detective, Lou Savelli was a member of the NY DEA Task Force during the time when the Colombian Cartels were at their strength and exceedingly violent. During this assignment, Lou Savelli and his fellow team members set the World record for the most cash seized in a drug case in one location: $20 Million in cash during the raid of a fortified warehouse protected by 11 Cartel members armed with Machine Guns and handguns. The record held until 2001 but is still the US record. During this time, he also worked investigations involving the Mexican Drug Cartels who were working closely with the Colombian Cartels. His unit seized several tons of wholesale cocaine and heroin and additional money seizures in excess of $100 Million. Lou Savelli is the cofounder and current Deputy Director of the East Coast Gang Investigators Association and one of the first members of the International Counter Terrorism Officers Association. He is a member of the California Gang Investigators Association, International Latino Gang Investigators Association and several other gang investigators associations covering the entire US and Canada. He is a member of the International Law Enforcement Educators and Trainers Association, the American Society of Industrial Security and the International Association of Chiefs of Police. Lou was chosen by former NYPD police commissioner William Bratton as one of NYPD's Top Ten Most Effective Leaders of All Ranks (of 20,000 supervisors within the NYPD) and was twice awarded Supervisor of the Year. Lou brings his New York City street cop style to his training classes. He has been voted at the top of every training academy he has worked as the best or one of the best instructors. In 2009, he was awarded Instructor of the Year for the Northeast Counterdrug Training Center. He is highly entertaining, dynamic and proactive during his instruction and always focuses on officer safety and putting bad guys behind bars. There is no way to predict the future and the events a police officer may encounter are most-often sudden, violent and unexpected. These situations become very fluid and dynamic. Officers who have prepared themselves mentally and physically often hold the key to survival in that preparation. GTI's Officer Survival Course is three days, 24 hours in length. It's a unique mixture of lecture and Force of Force situations. Often our survival hinges on our perception and reaction to those perceptions. When those reactions are calculated, well-conceived, and properly executed, the opportunity for success is greatly increased. When our reactions are based on false beliefs, television, motion picture fantasy or surprise, those opportunities to survive are greatly diminished. Officers who have found themselves in sudden and violent confrontations often remark how different they really are from what they expected them to be. This intensive three day (24 hour) officer survival program will teach officers the all vital skill sets that are needed to survive and win sudden and violent encounters. Students will review several officer involved shootings and other critical incidents caught on tape. Throughout the three day course the students will be exposed to practical exercises designed to enhance decision making process and physical skills needed to deal with violent encounters. Officers will deploy various tools they commonly carry to react with various escalation and de-escalation of force. Students will make split second decisions and articulate their reactions. Training will occur in a variety of environments. New skills will be developed in practical exercises using force-on-force scenarios. This 2-day training course focuses on deployment techniques and use of the patrol rifle as a primary weapon system. The course will prepare front line patrol officers and first responders on how to properly deploy and use the patrol rifle, basic fundamentals of rifle marksmanship and handling, how to zero iron-sighted rifles, and discusses zeroing policy and case law pertaining to liability concerns. Range work quickly moves from basic marksmanship to tactical movement, use of cover, various firing positions, pivots and turns, use of the safety circle concept, reloading under stress, firing on the move, multiple threats, decision-making, and reduced light threat identification and firing. 600 rounds of duty or training rifle ammunition. 50 rounds of duty or training handgun ammunition. Duty Belt and Holster, vest, eye and ear protection. Waterproof ground cover for prone zeroing exercises. The Preparedness of State and Local Law Enforcement, Fire, Rescue and Emergency Medical Services is one of the major initiatives of the United States Department of Homeland Security. 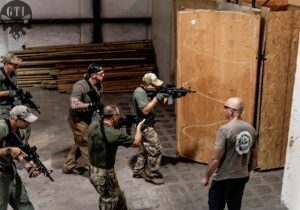 The Rescue Task Force - Hostile Event Interdiction course provides a unified response capability amongst these disciplines with proven tactics, techniques and procedures for a follow up response to a neutralized or mitigated hostile event. Once the threats are neutralized or contained, it is imperative to initialize Fire, Rescue and Emergency Medical Services to assess, treat and transport mass casualty victims. The course is open to Law Enforcement, Military personnel, Fire, Rescue and Emergency Medical Services. Each potential student will show or verify employment prior to course registrations. 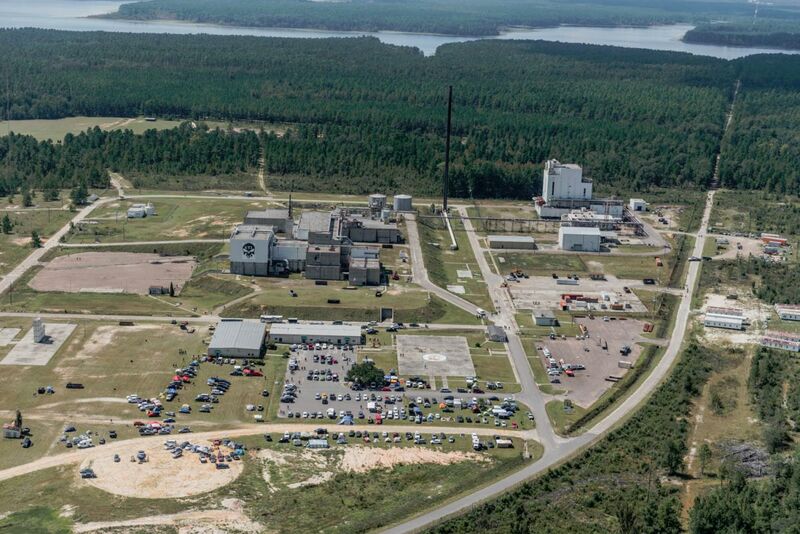 GTI's Joint Operations Center in Barnwell, SC. The job of a highly trained marksman is to be able to deliver accurate fire on targets at different ranges. You are a support mechanism to overall mission success. A sniper should be able to operate, when needed, as a scout, intelligence gatherer, over watch and be in a position to accurately interdict targets. In the world of law enforcement sniper operations, the sniper can end a dangerous hostage situation with a single shot. Being in a position to observe and relay information while remaining unseen is of critical importance. With all the technical wizardry of today, the sniper will ensure that the on scene commander has the proper information to make command decisions as the situation develops. You are the "eyes" of the operation. 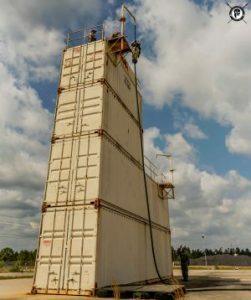 GTI's 135 foot tall 10 story Sniper Tower. GTI's Non-conventional, Elevated, Sniper, Training (N.E.S.T.) program is specifically designed for law enforcement tactical teams who may be required to operate in urban and/or rural environments. At GTI, we have one of the most unique training facilities in the United States. It gives us the opportunity to put our sniper students in positions and scenarios that no other sniper training facility can. 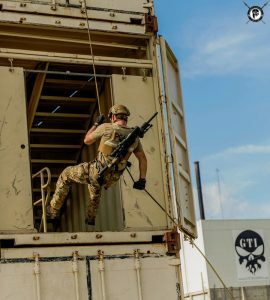 GTI has a 135 foot/10 floor sniper training tower that we use for our program which gives our students the opportunity to learn to shoot from high angles, which is one of the most important skill sets that a modern, urban sniper must be familiar with. Scenarios such as shooting from the top of tall buildings in the middle of a city to shooting from the top of a sports stadium can be extremely difficult. These require a thorough understanding of how to quickly, competently and safely gather important intelligence of a target and/or make a high angle shot with complete confidence. When tactical teams deploy snipers into high angle environments without the training to properly calculate the angle of each shot they create an unnecessary department liability. At GTI, we have the class that will bring your snipers/precision rifleman up to speed so that they can be confidently utilized in the safest legal and ethical manner. GTI's Basic Sniper course is an intensive 5 day course which covers an introduction to basic sniper, sniper nomenclature, weapon selection and maintenance, weapon manipulation, shooting fundamentals, ballistics, target engagement, team movement and sniper operations. GTI's Advanced Sniper course is a 5 day course which covers an introduction to advanced sniper, basic fundamentals, camouflage and tactical movement, final firing positions, observation and field sketching, ranging, wind evaluation, moving targets, barriers, low light firing, angular shooting and long range shooting. GTI's 800 yard range from the Sniper platform. GTI's 800 yard range from above. Precision Rifle with adjustable turret scope, bipod and sling. Shooting Mat / Alternate shooting support i.e. back pack, tri pod, shooting sticks etc. These courses are restricted to Law Enforcement And Military Personnel Only. Each student will show or verify employment prior to course. During the 5 day course students will learn the skills necessary to conduct surveillance in support of law enforcement, military and unconventional operations. Whether conducting narcotics investigations or investigating suspected terrorist personnel, surveillance skills are a necessary asset that enhances the spectrum of operational capabilities. Properly planned and executed surveillance missions greatly increases the probabilities of success of follow-on missions conducted against the target. The instructors for this course are experienced in surveillance and counter surveillance operations acquired while serving with USSOCOM and various law enforcement agencies. Surveillance is a skill set that requires concentrated practice; thus students will participate in multiple practical exercises. A minimal amount of lecture based study will be required in order to orient the student to the operation terms and principles of study. Students will learn the purpose of surveillance, types of surveillance - discreet or close surveillance, surveillance terms such as; what does it mean to be "backing" or what is a "checking drill", surveillant qualifications - what makes a good surveillant, methods of surveillance- from foot surveillance to technical surveillance, phases of surveillance - beginning with the pick up and ending with housing the subject, operational environment - understanding everything from the inhabitants to street configurations, team preparations and communications planning - how many surveillance personnel are being used and use of radios and hand and arm signals. Students will participate in practical exercises utilizing each of the surveillance methods incorporating foot surveillance with 2, 3 and 4 man surveillance teams. The course level gradually increases in difficulty culminating with a combination surveillance using 2 - 6 vehicles. The culmination practical exercise will be conducted in an urban area where students will utilize the techniques learned during the course. The core curriculum of tactical breaching is primarily manual breaching with an introduction to explosive breaching. The explosive breaching portion does not have a certification and is used only to raise the awareness of the student to advanced methods of breaching. The 3 day course will orient the student with the principles and tools used for manual breaching, to include ballistic, exothermic, gas powered and manual tools, and provide the student with the capabilities to breach commonly used intrusion prevention devices. The student will be able to assess a target, determine the correct breaching tool and technique to be used, then functionally defeat the target using the principles taught in the course. Operating mechanisms of lock devices used in residential, business and industrial environments will be covered in depth to orient the student to the vast methods of intrusion prevention. The student will be familiarized with the design characteristics and techniques of employment of the various types of tools available in the breaching industry. The types of tools the breacher is familiarized with are manual, hydraulic, electrical, and gas operated. Pro's and Con's of the tools and the multiple accessories associated with them are discussed in detail. Many unconventional techniques will be taught in order to keep the breacher thinking "outside the box." This course contains vast amounts of hands on training with self and peer performance critics. Instructors will challenge breachers with multiple complex situations to navigate along differing degrees of stress to simulate the operational environment. Law enforcement tactical teams are an expensive venture, full of cost and high in liability. Tactical operations often make the news and many citizens and agencies alike are questioning the need and value of these operations and the teams that conduct them. Agencies and their personnel are under a scrutinizing microscope. The "militarization of law enforcement" theme that has made news headlines in recent years has gained a new fervor. In the past several years there have been a skyrocketing number of litigations against law enforcement for tactical operations. The number of lawsuits and the amount of money needed to defend the lawsuits (and make settlements and pay out large verdicts) has increased exponentially. Organizations throughout the U.S. are analyzing the cost v. benefit of maintaining these high-risk units and organizations as part of their agencies and capabilities. Despite the risk of having tactical teams, they are an invaluable life-saving asset when properly constructed, trained, and deployed. Whether it is the life of innocents, hostages or officers; the political careers of you and your staff; the organizational life of the agency; or the history of your profession; the risk of not having a team capable of handling the multitude of threats that law enforcement must concern themselves with today can be far greater than the risk of having them. GTI's Tactical Command and Leadership System minimizes the frequency and severity of risks and develops true capabilities through training, assessment, external vetting and consulting programs. The target audience for the courses consists of; Agency Heads, Tactical Commanders, Team Leaders, Assistant Team Leaders, Agency Risk Managers, and Legal Advisors. Though this course centers specifically around tactical operations, other divisions such as CID, patrol, special units and jail personnel can apply the same techniques learned in the course to their divisions within the agency. Course Length is 5 Days and there are no prerequisite courses. Course Length is 3 Days and there are no prerequisite courses. Course Length is 5 Days and there is a prerequisite of the Managing Risks in Tactical Operations (TC2) course. Course Length is 5 Days and there is a prerequisite of the Establishing Team Capability Requirements (TC3). Course Length is 5 Days and there is a prerequisite of the Team Capability Evaluation, Analysis and Testing (TC4) course. This course is made up of curriculum from courses TC2 through TC5. Students can take this course as a stand-alone course or may gain certification through successful completion of TC2, TC3, TC4 and TC5 individually. Students who take the individual courses must successfully graduate each individual course within 18 months to be awarded the Tactical Command College certificate. Course Length is 18 Days and there are no prerequisite courses. There is no arguing that domestic violence, in its different forms, takes a tremendous toll on its victims and society. As a responding officer who has to handle the call, you must take into consideration the protection of the victim, the arrest of the offender, and the methodology to break the cycle of violence while maximizing your safety. The Government Training Institute's new Tactical Response to Domestic Violence class, is a two day curriculum, which will give the officer proven tactics, techniques, and procedures to deal with DV calls for service. The class consists of four hours of lecture time and a day and a half of practical exercises involving Simunition training. Practical Scenarios will cover dynamic tactics and tactical decisions based on priorities of life. For additional fees, GTI can include an optional tactical breaching and/or live fire range segments. This course is open to Law Enforcement And Military Personnel Only. Each student will show or verify employment prior to course. The Tactical Response to Terrorism - Immediate Action Course is an extremely fast paced and demanding five day class that focuses on the threat of terrorism, a major challenge facing federal, state, and local law enforcement officers, Department of Defense Personnel and those responsible for Force Protection. Tactical Response to Terrorism is a course designed for the frontline, developed from the identification of critical need factors facing U.S. Law Enforcement. This course was designed for the patrol officer, however small Special Team Units have given this course high evaluations. In light of a POST 9/11 world, skill sets for U.S. Law Enforcement requirements have changed. This Immediate Action, Counter Assault course takes the student through real life application and familiarization of the possible response. This course promises to give the students knowledge in Current Terrorist Threats to America, Terrorist Modus Operandi, Operational Planning of Terrorist Groups, Pre-Incident Indicators and Prevention of Terrorist Attacks, and Suicide Bombers. Once students learn about the threats that they face, they will acquire skills that will assist them in quickly forming a plan and initiating a reaction to the threats by focusing on individual and team skills that will be required for a tactical response to a terrorist event. Define a Tactical Angle & Demonstrate proper techniques surrounding their uses to you and the team's advantage. Discuss the Priorities of Life Standards and Relate it to Your Agency's S.O.P. This information is strictly geared toward law enforcement officers. Requests for information on law enforcement training courses require employment verification. Undercover Personnel & Techniques including: selecting undercover personnel, developing undercover identity, undercover tactics and assessing threats. Planning and execution of rescue operations, with a focus on dynamic entries into structures and vehicle assaults. Conversion Kits For Duty Weapons. GTI's Undercover Rescue is a two day scenario course developing an officer's skills in the extraction of an informant or Undercover officer in a high risk situation. The initial objective of this course is to emphasize the need to incorporate a tactical planned response to any ‘controlled operation' involving an undercover officer or informant. The student will learn the fundamentals of tactical planning and how the application of a short tactical briefing can enhance any controlled operation. The student will learn to make specific assignments of key personnel, identify critical points of a target structure, and become familiar with team oriented entry techniques and tactics associated with a rescue operation. The student will then be expected to apply these skills in a series of scenario based practical exercises and force on force drills. During the entire course, students will be given case law particular to their specific circuit courts surrounding undercover operations and narcotics police work. Students will need to bring their duty sidearm for their scenario operations. Conversion kits will be provided, as well as man-marking rounds. Students should come prepared for active field work for both days of the course, and included, their drop holster and bullet proof vest. The Government Training Institute's Basic Uniformed Narcotics Course is a three day Law Enforcement curriculum specifically designed for the uniformed patrol officer. The course encourages proactive law enforcement. Over 16 classroom topics are covered within this three day (24 hour) frame work. We recognize that the overwhelming majority of our officers are from smaller departments where every officer has to "do it all". This fast paced course will reward the patrol officer with knowledge and techniques to enhance their abilities on the street, and give new ideas. Classes include proper suspect targeting verses inappropriate activities such as "race" profiling. We explore roadside interviews, warrantless searches, K-9 resources, concealed compartments and evidence handling. We discuss drug identification, club drugs and the symptomology officers are seeing on the street. The informant cultivation and development class encourages every officer to construct intelligence networks and sources into the criminal community with an eye toward domestic terrorism. Investigative techniques such as knock & talk, surveillances, residence targeting, trash pick ups and repeat offender programs are explained. The objective of this block of instruction is to give the students a basic overall understanding of dismounted urban movement techniques in a non-permissive environment and how it applies to a wide variety of missions. Students will learn what actions to take when actively engaged by enemy fire utilizing coordinated fire and movement, communications, speed, momentum and violence of action. Students will learn how to move through structures, cross alleyways and T- intersections as platoon size elements during combat operations. The instructors for this block of instruction have over twenty years of combined experience conducting both training and real world operations in close quarters combat (CQC). Who Should Attend: Security and law enforcement professionals, military personnel or any other professions who are responsible for establishing security requirements for antiterrorism and force protection, crime prevention, and/or designing facilities to protect personnel and assets from terrorist and other criminals. Be prepared for weather, this course is mostly practical exercises. GTI's Vehicle Assault Course is a basic level tactical class that is meant to provide the students with a firm understanding of Vehicle Assault concepts and operations. Covering particular concepts like the L, U, and Column Assaults. This course will also cover vehicle blocking, diversions & distractions, the use of a ballistic shield, front & rear blocks, and team organization & planning. Culminating in LIVE FIRE drills. The training will begin with thought processing and individual tactics before moving into team tactics and technical skills. 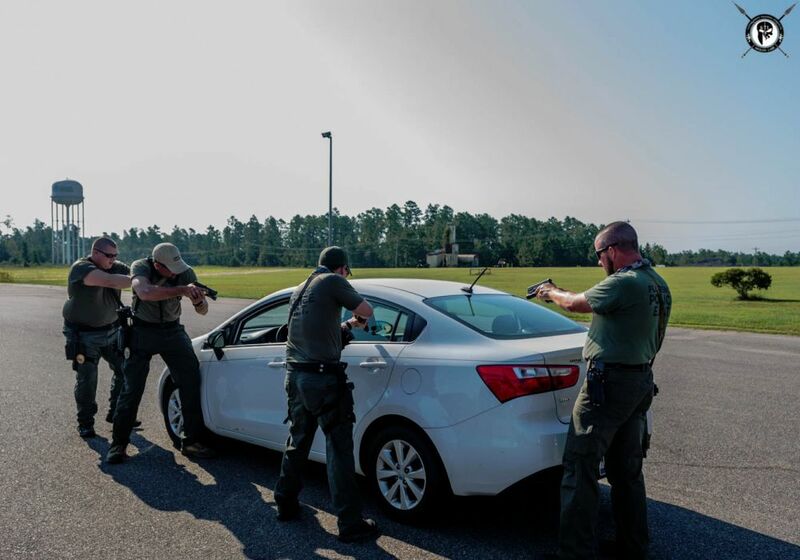 Upon completion of the class the student will understand the planning and preparation process required for a vehicle assault application and should be able to serve as a functional member of any assault team. It is up to the student to hone skills learned in this class, gain technical proficiency with other new skills and have a firm understanding and working knowledge of their individual policies and SOPs. To become familiarized with the basic techniques in vehicular assaults. To become familiarized with current equipment and strategic concerns including cross-fire, lighting, extractions, and diversionary techniques. "Sign up now!" This course was outstanding, in whole. I was very impressed with the instructors and the amount of collective tactical knowledge is quite impressive. Get ready for great training! Some of the best training I've been to. Very positive instructors with alot of experience to impart. Excellent course, excellent instructors. They are professional and know their stuff. I would recommend we get to shoot nice cars like a porshe or BMW. DO IT!!! Great class! I have learned the basics of vehicle assaults and the rest is on me to get to my unit, polish the tactics on what I've learned. The class was definitely worth the travel and the time the instructors taught was great, we will be able to train the rest of our team when we get home. They are very good at teaching and will make sure you get the right knowledge. The objective of the block of instruction is to give the students an in depth understanding of how to build an assessment team, conduct a Vulnerability Assessment (VA) of a given building or installation and how to evaluate the assessment. The students will understand how the resulting assessment is used in the development of a Force Protection Plan. Students will learn to utilize Vulnerability Assessment (VA) formats as tools to help develop a solid all inclusive force protection plan that supports the unit's mission. The instructors for this block of instruction have over twenty years of combined experience conducting real world small unit deployments and operations which required the development of Vulnerability Assessments for both offensive and defensive operations. 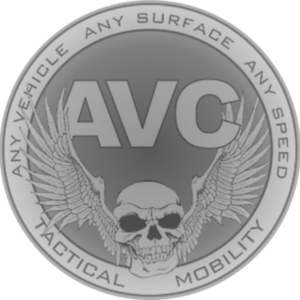 Absolute Vehicle Control (AVC) is unique in tactical mobility training. Their training is based on experience and a thorough understanding of high-performance driving in the real world. It's based on hard data that demonstrates car control, more than any other skill, enhances survivability and effectiveness in vehicles. Absolute Vehicle Control's instructors have not only been around racing and racing schools all their lives, but they have years of overseas experience in high-risk and wartime environments. All instructors are either former Army Tier One operators or Tier One trainers. They've driven just about everything everywhere in peace and in war. They teach what is most effective first. Any vehicle, any surface, any speed, seat time yields experience, preparing students to handle the unknown and, ultimately, it produces better, safer drivers in any environment or situation, whether urban, rural, and/or tactical. Outside the vehicle your primary weapon may be your lifeline. But inside the vehicle, your vehicle and your ability with it is your lifeline. They aren't fancy. They're effective. Why should you choose Absolute Vehicle Control for your driving training? More Seat Time: Drive more with AVC than any other racing or security school in the country. Car control is easy to understand. The difficult thing is sensory in nature, understanding what the vehicle is telling you at limits. By spending so much time in the vehicle during training, they instill usable sensory memory. Vehicles: They drive sedans, SUVs, and trucks, front wheel drive, rear wheel drive, all wheel drive, automatic and manual, high-power and low-power. Their students leave with a thorough sensory understanding of different vehicle types, drive lines, and transmissions. Speed: They drive fast, taking students up to and beyond limits in a controlled environment. In the real world, things happen at handling limits. That's where they spend their time. Price: Their prices are set somewhere between typical security driving schools and racing schools. Upon discussion their rates can be commissionable. At the very least, they're set to allow reasonable pass through charges. Surfaces: They drive on pavement and gravel, off road and on, rain or shine, in urban and rural environments. They don't drive on pristine asphalt because they've never seen pristine asphalt in the real world. Fun: It's fun, a lot of fun. There is no denying that. But car control training greatly reduces risk and increases safety and effectiveness. 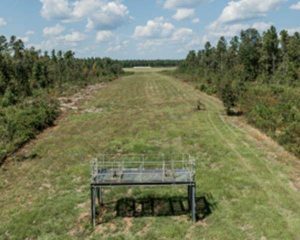 The Government Training Institutes Joint Operations Center (JOC), is a state-of-the-art tactical training facility located in Barnwell, South Carolina. GTI was founded in 2003 to address the tactical needs of U.S. law enforcement and military through research-based training. The Joint Operations Center is well suited for military and law enforcement courses. We can customize the curricula and training site to fit your organization's tactical mission. Onsite course pricing is determined on an individual basis. Please contact us, using the information at the bottom of the page, for a quote. GTI training centers have classroom space (with A / V equipment), breakout rooms for small group skill stations, multiple structures for training simulations and an 800 yard live fire range. GTI can also provide logistical support and secure equipment storage. Qal-Tek Associates LLC has joined the Government Training Institute (GTI) in a joint venture to offer their hazardous material technician training courses at GTI's Joint Operations Center in Barnwell South Carolina. The offerings include the Radiation Response Specialist Course, the Radiological Event Scenario Training (REST) and the Advanced Radiological Contamination (ARC) and Decontamination Course. 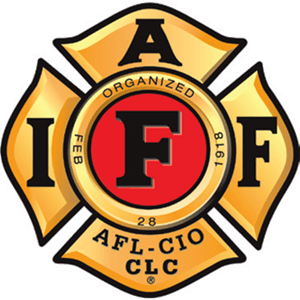 Qal-Tek Associates LLC, in partnership with the International Association of Fire Fighters (IAFF), is pleased to offer the Radiation Response Specialist Course. This three-day course has been developed in strict compliance with NFPA 472 CH 18, Competencies for the Hazardous Materials Technician with a Radioactive Materials Specialty. It is also eligible for Pro Board certification. Analyze a hazardous materials incident involving radioactive materials to determine the complexity of the problem and potential outcomes. 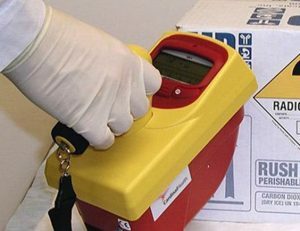 Plan a response for an emergency involving radioactive material within the capabilities and competencies of available personnel, personal protective equipment, and control equipment based on an analysis of the radioactive material incident. Implement the planned response to a hazardous materials incident involving radioactive material. Special requests will be considered on a case-by-case basis. Prerequisites for certification include verified certification (ProBoard, DOD or IFSAC only) to the Hazardous Materials Technician level. Prerequisites are verified through The Pro Board National Registry, the Department of Defense, Fire & Emergency Services Certification Program, Lookup System and/or IFSAC. Individual state certifications will not be accepted. Reference: NFPA 472 Pre-requisites for HM Tech Rad: 18.1.1.2 The hazardous materials technician with a radioactive material specialty shall be trained to meet all competencies at the awareness level (see Chapter 4), all competencies at the operations level (see Chapter 5), all competencies at the hazardous materials technician level (see Chapter 7), and the competencies of this chapter. The Radiation Response Specialist Course can be combined with the Radiological Event Scenario Training (REST) program to offer a full 5-day training event with 2-days of hands on scenario training running through search/locate and contamination training lanes. The REST program consists of a matrix of radiological training scenarios, using real radiological materials, which can be selected from to provide response experience to fit the specific training needs for Hazardous Materials Technicians, Emergency Medical, Law Enforcement, DOD, DHS and other specialized response teams. *We can run week long trainings that can integrate multiple scenarios into the training throughout the week. 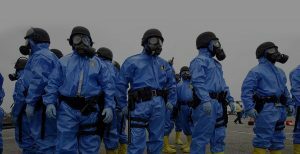 The Advanced Radiological Contamination (ARC) training program is designed for First Responders, DOD, DHS and other specialized teams with a mission to conduct radiological and nuclear incident response operations. 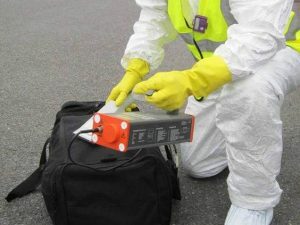 Through the introduction of loose form radioactive contamination in realistic scenario, participants are able to operate in a known radiological contaminated environment while performing mission critical CBRNE response tasks including contamination control, exposure control, decontamination, measurement and detection. ARC is a fully scalable training program that can be adapted or modified to meet the specific requirements of a particular organization. Purpose: To develop the participant's knowledge, skills and understanding of the challenges and dynamics of working in a known radiologically contaminated environment. Note: ARC is a fully scalable training program that can be adapted or modified to meet the specific requirements of a particular organization. Qal-Tek's founders, Dale Snowder and Bryce Rich foresaw a need to provide economical and reliable calibration services to users of radiological materials. 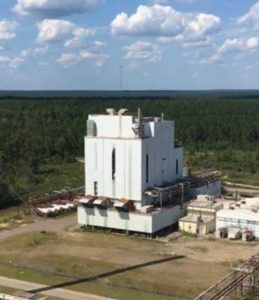 When they initially founded Qal-Tek in 1998, they began as a radiation detection instrument calibration and repair facility. Since then it has expanded the depth and breadth of its services considerably. Within a year of its start, Qal-Tek also began calibrating and repairing Nuclear Density Gauges and Construction Testing Equipment. Their reach also expanded to cover a large section of the country with the addition of offices in Texas and Arizona plus two mobile labs. Since then it has grown to become one of the largest calibration facilities in the country, and one of the few with ISO 17025 Accreditation. By 2004, Qal-Tek's name had become well known in the Nuclear, Medical, Industrial, and Construction Industries throughout the United States. In 2007, the US NRC (Nuclear Regulatory Commission) granted Qal-Tek a very broad service type license, allowing it to expand its services to assist licensees with their radiation safety needs. Regulatory Compliance Support Services including performing audits, modifying licenses, responding to violations, area surveys, nuclear device leak tests & shutter checks, etc. Qal-Tek's continuous dedication to superior customer service and quality has created a culture within the organization that has enabled it to assist many of the largest US corporations, state agencies, federal agencies, and other public entities. Qal-Tek is dedicated to finding new and even revolutionary solutions to enhance radiation safety in the US. It's employees are seasoned professionals with a great deal of expertise and sensitivity to meeting the complex and often times conflicting goals of meeting regulations and budgets while optimizing safety. With a well-established and proven track record of meeting these goals, Qal-Tek has built an organization that has stayed true to its founding beliefs and principles. Government Training Institute shared a post. The South Carolina event at GTI Training is going to be vastly different from previous events. GTI is a decommissioned nuclear processing plant. It’s buildings are massive, veritable rat mazes in nature. This allows us to host a Close Quarter Battle-centric Games event. Check out the Caroluna Cup series!Excited about our August event in South Carolina? We know we are. To make it even more interesting we would like to introduce you to the Carolina Cup. The Carolina Cup is a 2 event series- South Carolina and North Carolina- with overall winners being crowned from each division.